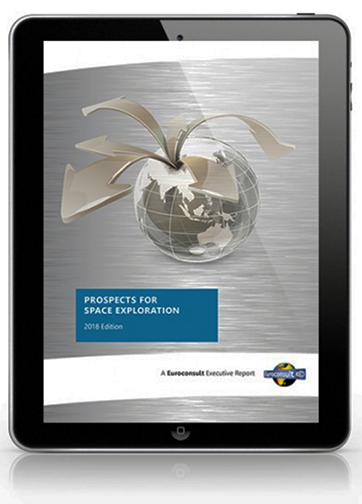 According to Euroconsult's latest report, Prospects for Space Exploration, global government investment in space exploration totaled $14.6 billion in 2017, a 6 percent increase compared to 2016. Fifteen leading space programs worldwide are estimated to contribute to this global investment with the U.S. accounting for 74 percent of the total. Global expenditures have grown in the past five years driven by programs in leading countries and new countries investing in space exploration. In a still constrained budgetary environment, global space budgets for space exploration are expected to grow to over $20 billion by 2027. Orbital infrastructure is the second-largest application with $3.5 billion in 2017, an investment which has been stable over the past five years. Funding should continue to grow, driven by investments in the ISS program and increasing funding for the development of the Lunar Orbital Platform-Gateway by ISS partners as well as China's investment in it space station. Over the past ten years, 19 planetary exploration missions were launched by six countries/agencies (the U.S., ESA, Russia, Japan, China and India). Over the next decade nearly 80 missions are expected to be launched, of which 63 percent will correspond to government missions. The next decade will also see the rise of commercial exploration initiatives, with close to 30 commercial missions forecast by 2027, primarily driven by lunar initiatives. In terms of applications, Moon exploration is expected to account for the majority of missions (64 percent of the total) to be launched by 2027, as lunar exploration becomes the focus in the strategy of private and public stakehoders. A total of 18 missions are anticipated to be launched for other deep space exploration, while the remaining missions will be dedicated to Mars exploration. Natalia Larrea Brito, Senior Consultant at Euroconsult and editor of the report, said that future funding for space exploration is expected to grow to support the ambitious plans of the next decade. Nonetheless, national investments will remain constrained by their public finance environments that should dictate realistic and pragmatic investment strategies. Space exploration is attracting the interest of an increasing number of governments as well as the private sector; start-ups to large companies seek to exploit the commercial potential of exploration activities. Space agencies are increasingly seeking to leverage partnerships with the private sector to achieve their goals more cost-effectively while fostering sustainable space exploration.